I never knew I wanted a narrative when playing a sports game. 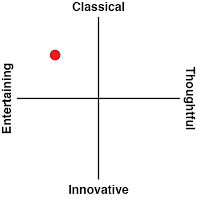 Normally I balk at the mere thought, as for the most part they do nothing to add to the overall experience. Old Time Hockey has changed my mind on that, and has shown how a game based on sports can have a pretty cool narrative to go with it. Old Time Hockey’s single player mode plays out as all good sports movies do, taking a rag-tag bunch of misfits together and setting them the goal of becoming actually good, ultimately triumphing in the end. Rather than making the team a lovable bunch of losers, the developer has gone the route of making it known that these guys are a bunch of alcoholic brawlers. It becomes apparent pretty fast who these guys are, as the loading screens tell the story. These loading screens are beautifully done too, with some pretty detailed pixel art on a Commodore 64 inspired colour palette. As the focus team (the Shuykill Hinto Brews) is very awful from the beginning, the game doesn’t actually ask them to win every game. Instead, the objectives will include things such as ‘do not let the other team shoot at goal more than 36 times’ and ‘hook a player 4 times’. It’s a great way to introduce the mechanics of the game while at the same time, avoid the pressure of winning every game to finish. The more objectives completed, the better the team gets overall as well, so it felt like I was growing with the team. The overall theme of Old Time Hockey is the idea that hockey as a sport has gone too soft, so the game sets out to bring back what hockey was like in the 1970s. This includes a lot of punch-ups, using the hockey stick as a weapon, and basically getting away with pushing the boundaries of the rules as far as possible. I do believe that taking out the ref whenever a penalty is about to be issued is a tad too far though! The theme is carried under the guise of a 1970s Hockey Bush League. Players don’t wear helmets, and the faces of the players look exactly what you’d expect them to look like as a result. This theme is carried through the song ‘Old Time Hockey’ by the Donnybrooks. It acts as the theme song of the game and sings about old time hockey vs modern hockey in an amusing way. It’s incredibly catchy, with Celtic strings giving it an Irish pub feel at the same time. I found myself singing the chorus pretty quickly.The rest soundtrack is equally fantastic. The majority of the soundtrack is comprised of vintage rock riffs and classical public domain tunes, all of which set the tone of the game really well. 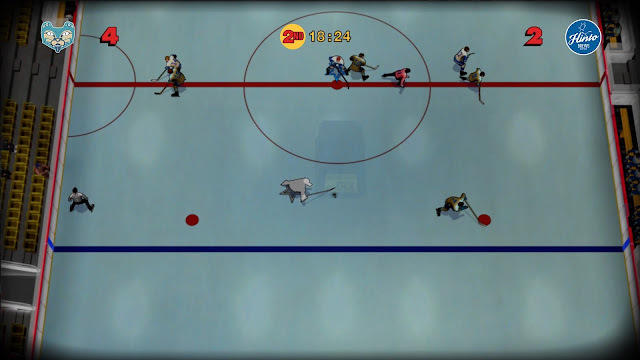 The gameplay of Old Time Hockey isn’t quite as good though, I found myself at the beginning solely sticking to easy mode, and even having a tough time of it. Shooting was never much of an issue, but trying to hit other players, passing to teammates and swapping between players was never easy enough to do. It does seem to be a real work in progress though, as the game has been updated no fewer than four times in the time since I started playing it. These updates actually made each one of those things I previously listed easier to do, which I appreciated. Easy mode also does away with complicated rules such as icing and offside, which is a nice touch for people who are less familiar with the overall sport of hockey, and it’s a nice touch that these rules can be implemented for those who want them included. 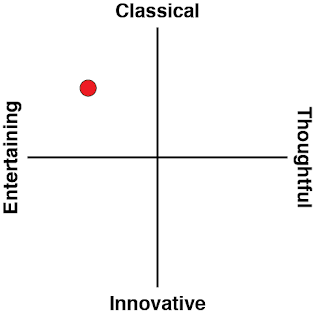 What is cool is that there are about half a dozen different control schemes, ranging from total control of everything, to the most simple of two-button configuration. I thought this was actually pretty smart to do as it makes the game instantly more accessible to anyone wanting to just pick up a game to play stress-free. There is even a ‘Beer Mode’ control scheme, so you can keep your beer in one hand and play the game with the other, which I wish every game had. Fights obviously needed to be included, and these fights are pretty basic, even by hockey game standards. There’s a punch button and a dodge button. The idea is to smack the opponent three times before being hit three times, that’s basically it. The player who wins successfully injures the other player so that they can’t play anymore. One thing that’s cool is that often multiple fights will occur at the same time, so once one fight is over, it carries over to the next fight, sometimes resulting in injuring three players off of one team all at once, giving the winner a tactical advantage. Talk about a piece of media that can capably transport the player directly into the 1990s of ice hockey games, Old Time Hockey does exactly that. 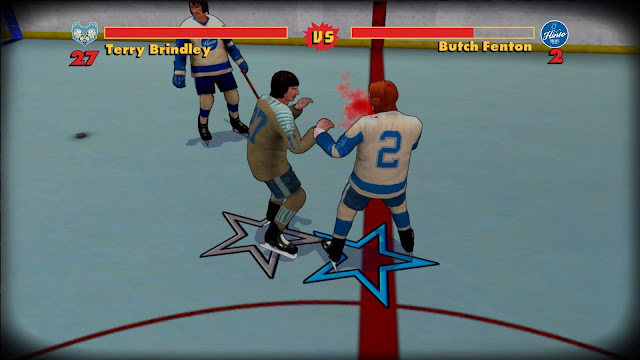 From the one-colour loading screens, to the sound effects, right down to the chosen font, Old Time Hockey is a fun yet flawed experience. 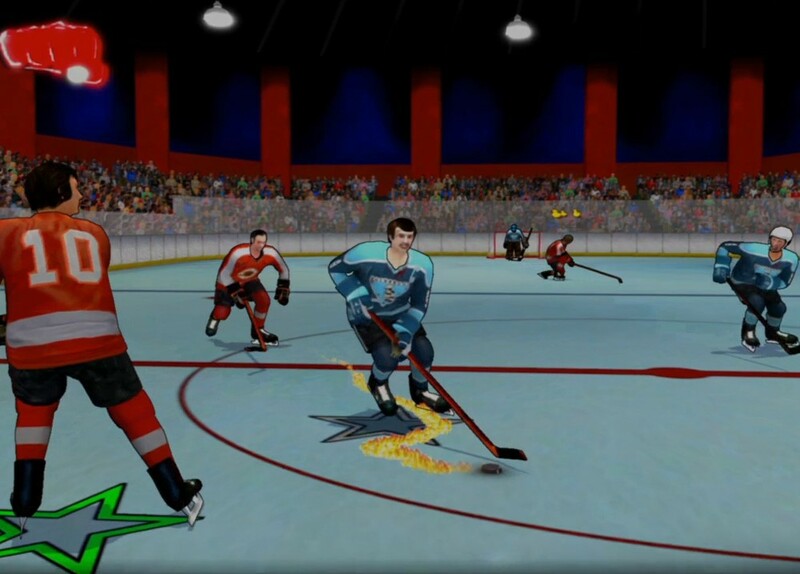 In a time where many developers are looking back to the 1990s as inspiration for their games, Old Time Hockey stands out as one of the success stories.